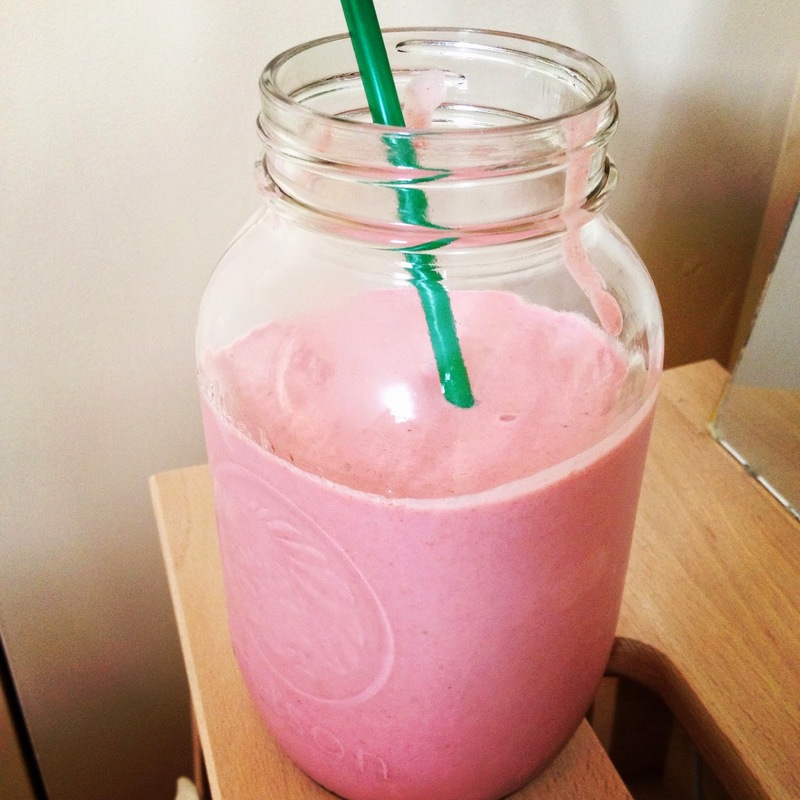 A new fave smoothie (not Pepto..) : Strawberry Cream & Basil! This was inspired by a cherished NYC falafel shop that I went to way back in 2006 or 2007. -Cover raw almonds with water and allow to sit overnight or at least for a couple of hours. -Drain, rinse and peel or don't peel the almonds. -Add almonds to Vita-Mix and add just enough water to achieve a milk-y consistency. Blend until super smooth. -Pour the liquid through cheese cloth, sieve or a nut milk bag if you have one! Squeeze the pulp to extract as much milk as possible. Store in a jar in the fridge for 5-6 days. -Once pulp is strained out, you can return the milk to the blender and sweeten it with a date or 2, agave, maple or sugar. You can also add a pinch of salt or a couple drops of vanilla! Or any flavorings for that matter! Go nuts! haha..
-Choose the best quality/best tasting untoasted shredded coconut. You"ll need to use at least 1 cup to get the best results..
-Add the coconut to the Vita-Mix with just enough liquid of your choice (water, rice milk, etc) to get the blender going. Try to add as little liquid as possible to end up with a really thick butter. -Blend for at least 5 minutes or until completely smooth. -Pour into a jar and refrigerate for up to a week, or maybe longer. Mine hasn't lasted long enough for me know! FYI, once the coconut butter has been chilled for a couple of hours it will firm up significantly. -You can use this cream in smoothies (obviously), soups, curries, on toast, etc. Yum!